He goes where no ordinary rabbit would dare! 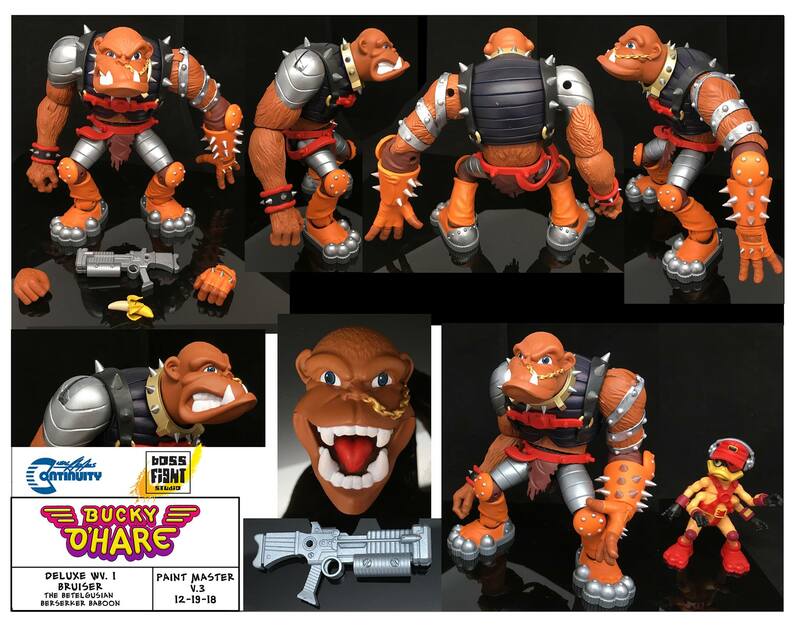 Bucky O’Hare returns with brand new super-articulated action figures from Boss Fight Studio! New for your Bucky O’Hare collection! One of S.P.A.C.E.’s strongest weapons in the fight against the evil Toad Empire is BRUISER THE BETELGUSIAN BERSERKER BABOON! Continue to build out Bucky’s Righteous Indignation crew with this massive and fully posable denizen of The Aniverse. Pre-orders start Friday 1/4/19 at 9PM EST. on bossfightshop.com! No, it isn’t. This isn’t Hasbro or Mattel. This isn’t a mass market line. This is a small toy line made by a small studio that does QUALITY work in much smaller quantities. The smaller the quantities the more each piece is. You don’t have to like it, but it’s not insane.